E-mail your complete FedEx shipping address with street and zip code and the quantity and species of plants. Include your telephone number. Your order will be confirmed by E-mail with availability of the plants, total cost of your order, plus shipping charges. Send your order by E-mail to jengel53@rochester.rr.com or by mail. Order plants in groups of 4 or 9 plants. Shipping boxes hold either 4, 5x8" pots or 9, 5x8" pots. Only full boxes are shipped. Plants in each box can be mixed. Payment is by by credit card through Paypal, personal check or money order. To pay using PayPal go to PayPal website click on the link (send money), then follow the instructions. Plants will be shipped after receipt of your payment. I charge a pot deposit of $1.00 to reduce the price of plants and to conserve resources. Hopefully this will also encourage more people to return the pots for their refund. Plant prices remain at their rock bottom level. Estimating total cost of plants including shipping. Base price of plants on website is for plants picked up at the nursery. 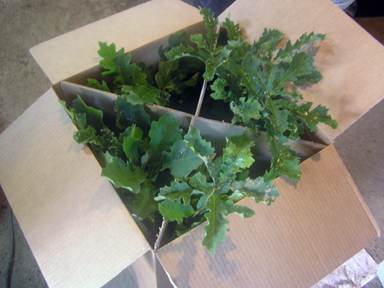 Packing/handling charge is $12.00 per box of 4 plants. Packing/handling charge is $27.00 per box of 9 plants. A handling/packaging charge is added to each box of plants shipped because of the additional costs involved in handling and packaging small mail orders. $27.00 will be added for a box of 9 plants, $12.00 for a box of 4 plants. This is equivalent to $3 per plant. The unit price is still more affordable than other mail order nurseries and you receive a living plant not a dormant bare-root stick. FedEx charges are based on a 75 lb weight for 9 plants or 35 lb weight for 4 plants. Charges are based on weight and zip code. I charge a nominal deposit on each plastic pot to encourage reuse, keep prices low and reduce waste. The deposit reflects the actual cost of the pot. The pots can be reused over and over if returned. The deposit will be refunded to you or applied towards your next order. Pots can be cleaned, stacked and returned by the cheapest shipping method possible. To ship, nest pots, secure with packing tape, attach label and ship without additional packaging or boxing. The cost of shipping may offset the value of your deposit but be rewarded in the satisfaction that you have helped reduce excess waste and consumption. Plants have been packed and secured to the best of our ability. Packages in shipment are subjected to rough handling during shipment that is beyond our control. Inspect plants and packaging on arrival. Claims for damages incurred during shipment must be made against the carrier (FedEx). Inspect plants for health and any major damage. Minor damage such as ripped leaves, a broken twig or scraped bark will be easily tolerated and healed as the plant grows. Remove each plant from the shipping box and water thoroughly. Replace any spilled soil to the pot. Plants can be held in the pot for an extended period, if watered on a weekly basis. Planting and removal from the pot. Planting success requires that the plant be removed from its pot with as little disturbance to the root ball as possible. If the soil completely falls off the roots the plant will not likely survive. First moisten the soil with a little water. with the stem between your index and third finger. Invert the plant upside down with your hand over the opening. Give the pot a downward thrust to loosen the root ball from the pot. The soil and root ball should come out in one intact piece. If the root ball is stuck, gently hit the edge of the pot on a hard surface while it is inverted. This should dislodge the root ball. Gently support the root ball and plant immediately. Potted trees are a great value in mail order plants. The plants are actively growing with a full set of leaves in season, their roots filling the potting media. White Oak Nursery specializes in growing native trees and shrubs that survive under difficult conditions. I believe wider use of native plants is necessary to protect natural systems, create habitat for wildlife and to prevent the spread of non-native plants. Prices are kept affordable so you the customer, can create larger and more diverse landscapes. Plants have actively growing roots and shoots when they arrive and they will quickly establish in their permanent location and will continue to grow during the growing season. The majority of mail order trees are shipped bare root and dormant. This means the trees have been dug and all soil removed from the roots. Bare root trees are similar to a person having had a major operation under full anesthesia. It takes a long time for a tree to recover from this stress and many plants will not survive. The size or the cost of the tree doesn't matter if your tree does not survive. I look forward to supplying you with healthy affordable native plants.